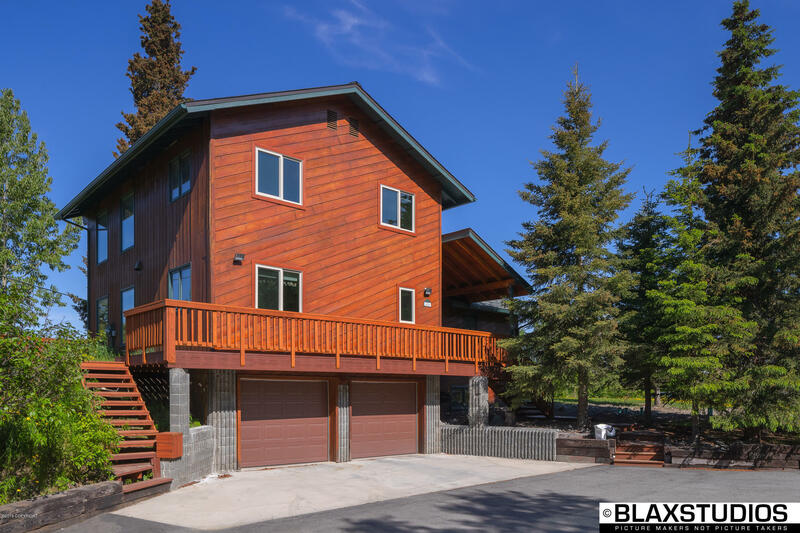 Stunning Cedar Sided Prow Front Home w/Inlet, City, & Mtn Views! Main Level Mstr w/Sliding Doors to Deck/His & Her Bathrooms/Sauna. Large Kitchen w/Eat-In Nook, Pantry, SS Appliances, Lots of Storage, Deck Access. Upper Level Fam Rm w/Wood FP & Tongue/Groove Ceiling. Large Tiled Entry. Lower Level Huge Rec Rm/Private Suite w/Bath & Laundry. Gorgeous Landscaped Yard w/2 Sheds. Huge Parking Pad. Brand New Septic! Newer Roof, Newer Windows, Newer Furnace, Newer Hot Water Heater, Newer Garage Doors, Newer Gutters & Decking, New Garage Heater. Well Maintained Home!